The main purpose of the Sunday Schools was, of course, to provide basic education as well as moral and religious instruction for children in the belief that The Child is Father of the Man. There were separate schools for both the Church of England and the Methodist denominations. Before the 1870 Education Act they offered the only education for any poorer children, usually comprising learning to read religious stories and spelling tests learnt by heart. The Bible was often used as a textbook for instruction and attendance was encouraged with weekly stamps for the children to paste into books of stickers. After national education was introduced in 1870, the Sunday Schools changed their purpose from basic education to include more sports and recreational activities. Pageants often played a part, not only at Christmas time, such as the Episodes from the History of Sunday Schools directed by Miss GE Toy at the Methodist Hall in April 1931. The Methodists operated their own Primary and Sunday Schools from the building they erected in the Market Place in 1905. On the retirement of the Rev H Walker Blott, Superintendent of the Bath Circuit in 1910 Mr Bullock thanked him for the work done in promoting the Box Sunday School, Making Progress out of Chaos where the Sunday School had previously been in a limp, weak and inorganic state. not really to our modern taste. There are a number of dedicated men and women who need to be remembered for the work they undertook with the children, including, at St Thomas à Becket Church, Miss Hancock of Devizes Road in the first decades of the twentieth century and Miss Batterbury in the 1930s; and at the Box United Methodists Hall, Edwin Bow of Valens Terrace. Charitable donations were regularly encouraged to be part of the children's experience and gifts made by the Sunday Schools were usually to the Children's Ward at the Royal United Hospitals, Bath, or to the Holy Innocents Home. These gifts were often of produce brought by the children such as eggs, fruit, flowers and vegetables. Edwin Bow held an annual egg and flower service to raise donations. Miss Batterbury organised 187 eggs to be given to the Holy Innocents Home in 1933. This role continued after the Second World War and in September 1955 the Infants Sunday School raised 18s.1½d for Church of England Children's Society through the work of Mrs Clarke of Ashley. The Church of England Sunday School outing in November 1897 was typical of the great activity needed by many people in the village. The travellers included Wadswick children who came in Mr Raine's wagon, which presented a gay appearance, being decorated with flowers . The children went for tea to Corsham and, after games of cricket, coconuts, racing and swinging, prizes were given to loud and prolonged cheering for the school superintendants. The Parish Magazine of August 1903 recorded the treat offered by Mr Morley, the owner of Shockerwick House, from 1.45 until 7pm on the Sunday: In the absence of Mr and Mrs Morley, Mr Botcherby undertook all the arrangements, which were carried out in a most efficient manner. It was difficult to borrow sufficient wagons to carry the children to Shockerwick because hay-making was in full swing. And an unfortunate accident occurred, the Wadswick wagon being upset as the driver was attempting to turn by the schools, and all the occupants thrown out. Fortunately none were seriously hurt; though greatly frightened. The Sunday Schools offered the chance for children to make journeys out of the parish to experience a wider world but during the Great War the outings had to be curtailed. In 1916 the Sunday School Outing for 150 children had to be abandoned in favour of tea in the Bingham Hall with magic lantern entertainment and moving pictures of aeroplanes, launching of ships, the visit of the King to India. By June 1917 they were temporarily suspended. The outings never really recovered. In August 1934 Box and Wadswick children went to Weston-super-Mare for the day but not much bathing indulged in, as everyone found the seaside very cold. Rain fell occasionally. Mrs Fuller used to take the Infant Sunday School in Box School until she retired. After this I took over but we very quickly moved to the church, meeting near the children’s corner and dividing into two groups for part of the time, one group going to the vicar's vestry. The Sunday School survived the departure of Rev Lendon Bell and continued under Tom Selwyn Smith although by that time numbers had dwindled. In the 1950s seven of Browning’s coaches used to take Box families on the Sunday School outing to Weston-super-Mare. Occasionally tea was organised for us in a hall somewhere near the beach. The local Empire Builders' Club (or to give the full name the Young Empire Builders' League of the Colonial and Continental Church Society) was started in July 1914 and ran until the Second World War. Nowadays its imperial pretensions seem incongruous, perhaps even slightly sinister. As expressed by Rev LG Brewster in 1935 its purpose was to develop youngsters in the right attitudes: We don't want to be a lot of weak-kneed young people afraid of showing their colours... Its aim was ... to help in sending the Gospel to our fellow countrymen across the seas. The club was run by Mr D Thornhill Lord in the 1920s until he moved to Birmingham in 1925. In March 1929 the annual meeting was held presided over by Rev George Foster and active participation by Mrs Llewellyn Hughes, Mr Shaw Mellor, Mr Bence, and Mr Scott. and Hon Secretary H Armsted. Income receipts included profits from whist-drive £6.8s.6d, billiard receipts £2.8s.10½d and receipts from Ping Pong table for 1 month 3s.9½d. By 1930 the club was hiring premises in Box referred to as the Empire Builders' Club Room with billiards, whist and ping-pong. In the 1900s the militarisation of young people was a repeated theme. The Box Division of the Cadet Force came to prominence during the Second World War when they provided many back-up facilities for the Home Guard. They were always looking to beg or borrow equipment and put out requests for surplus kit after the armistice had been declared. Their work was specifically honoured with a march past of 5,000 cadets, including Box representatives, in front of HRH Princess Elizabeth in Hyde Park in April 1946. Participants from the county forces enjoyed church services, boxing championships at the Albert Hall, football and sight-seeing in London. The group continued long after the 1940s supplying recruits to the National Service needs of post-war Britain and were still going strong with meetings at Hazelbury Hill in 1955 and after. Not limited to young people but composed of a youthful membership was the St John's Ambulance in Box. The organisation started as an attempt to bring first aid and basic instruction to the working class of late Victorian England. One early syllabus was suggested by the Church of England Temperance Society for the benefit of cottager's wives and daughters, young people and illiterate persons belonging to the working classes. It gave plain directions how to deal with broken bones, fits, burns, the apparently drowned or suffocated. The club was self-supporting and regularly put on entertainment in the Bingham Hall to raise funds and to make donations to other worthy causes. A grand concert party was held in October with a contribution of £3.3s made to the Helping Hand Fund of the GWR Social and Educational Union. Under these two men the Box branch was highly commended. In 1932 the county commissioner and other officers inspected Box's 21 members under the supervision of Superintendent William Pepler and Ambulance Officer John R King. The Division was highly commended for its proficiency and smart appearance of the members and were by then fully equipped with four stretchers and one divisional haversack. In August 1933 Dr Thomas held meetings on alternate Tuesday evenings in the Library Room at the Bingham Hall. By 1937 Mr Pepler had retired to reserve duty and in recognition of his work he was invested with a medal by the Earl of Scarborough deputising for King George in London. In return he presented Mr and Mrs John King with gifts on the occasion of their wedding in August 1937. Six months later John King was promoted to the role of Box Superintendent in recognition of his service since 1914 and his work in Box. St John's Ambulance Brigade (Mixed Division) was held at Methodist School in 1955. In the 1970s and 1980s the club started to go on summer camps. In 1981 eleven cadets under 17 years of age, four senior members, three ex-members and divisional officer Pam Kite (nee Little) went by Miller's Coaches to the Gower Peninsula. Many thanks went to Karen Morris; Abi, Ali and Andrea Sherriff for putting up the tents but little did they know the danger they had put the camp in. The high tide brought the water within 20 feet of the camp site and a large inflated tyre inner tube was needed to cross the river to the camp, organised by Andrea Sherriff and Sharon Palmer. Kerry Plant and Sarah Little supervised the recovery of food supplies with help from Ian Joslin and Mike Leaman. The week concluded with a church service where flag bearers Jeffrey Ashmore and Sue Tutsell entangled the flag in the silver candelabra of the church. Undaunted, the club put on an activities evening where Samantha got an egg broken over her head, Paul Otterwell found the strangest object and Joanna Newman was second in the unusual hat contest. Now that does sound like a fun camp! Box Church choir, was a parochial church councillor and organised various clubs in Box including the football club, tennis club and swimming club. The Lambert family were deeply committed to the success of the Box troop: Cecil Lambert in the years around the Great War and Phil Lambert in the inter-war and Second World War. There was strong military involvement. By 1940 the troop was involved in every branch of the fighting services - in the air, on sea, under the sea, and on land. Such was the affection towards the family, when Phil was sent to Birmingham on war duty in 1940 a little Wolf Cub presented him with a scout statue a perpetual reminder to him of those happy days in a peaceful England when they camped under skies that seemed perpetually blue. R Brickell formed the nucleus of a Senior Troop (ages 15 - 18) in January 1958. The original hut was re-erected on the site (on the Devizes Road) after removal from Ashley House in, or about, 1911. Mr G Browning and senior boys to a vacant lot adjoining the Rifle Club a year later. Box Scout Hut in Devizes Road was built in 1955 to replace a dilapidated corrugated iron hut in front of the small-bore rifle range which was also a corrugated iron building dating from the First World War. This was also replaced by the current building in about 1972. The replacement Scout Hut was a redundant concrete and asbestos-roofed building that was one of a number built on the land to the west of Ashley Firs next to the railway line at lower Ashley. They were to house Pioneer Corps workers working at Ashley railway siding moving munitions to the Farleigh storage site. There were about six huts on that site and they had been occupied by squatters after the war until the Ministry of Defence sold them to be dismantled and moved. There are still some existing on the other side of the road. At one time the owner was Mr Parry of Ashley House who used them to keep laying chickens. The Scouts bought one of these huts and Philip Lambert, Alec Cogswell and Brian Weeks, plus some parents, were involved in moving and rebuilding it. The Rifle Club owned the land then and still do. 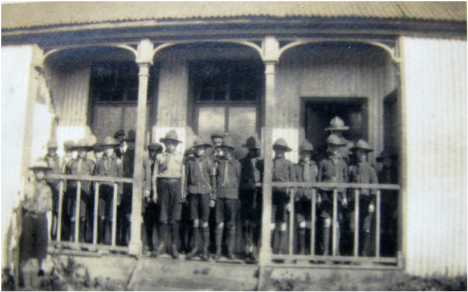 On 19 March 1924 a meeting was held in Box School to form a company of Girl Guides for all girls between the ages of 11 and 16. By 1931 the Box group was chaired by the indomitable the Hon Mrs Shaw Mellor who helped to attract over 70 girl members divided into two companies led by Miss EL Oatley and Miss Beardwood. The Brownies put on several shows at the Bingham Hall for charity-raising purposes including for the Holy Innocents' Home in Box. Miss EL Oatley was prominent in the Box movement for many years ending as Guide Captain, but in September 1931 she was obliged to resign in order to take up nursing in London. Like the scouts, the Girl Guides took an active role in assisting civilian needs during the Second World War. Run by Mrs G King and Lieutenant Joan Sheppard, it worked for Holidays at Home during the war as well as supporting the Children's Ward of the Royal United Hospital, Bath. It put on a variety of events to fundraise. 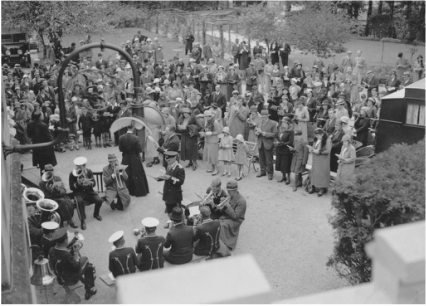 Mrs Stanley Brunt organised theatrical plays, Miss Joan Warwick of the Lita-Jane School of Dancing arranged dancing and in September 1943 they organised a Guides Fete in the Scout Hall and Rifle Range area. We hope to produce an update to this brief outline in a later issue. 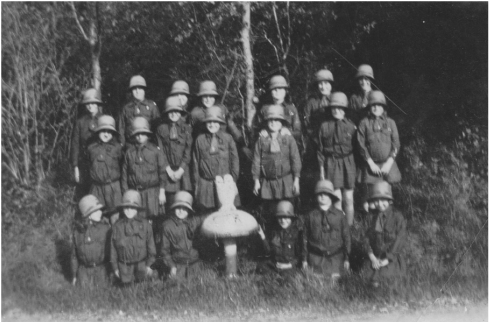 The Brownies, the younger section of the Girl Guides in the late 1940s used to meet in the attic of the Vicarage, assembling round a mushroom or toadstool. Much effort was put into being awarded badges which could be sewn onto uniform. I remember being awarded the Homemakers badge for laying a dinner table in a house near Box House. I believe Joan Sheppard was Brown Owl. When I became a Guide we went to camp at Bowood and one day walked into Chippenham. We always paraded on Remembrance Day and laid a wreath at the War Memorial. By the mid 1950s there was felt to be a need to move on from highly-disciplined and uniformed activities to a more relaxed style for both boys and girls. It started with the Boy's Club who met in the Bingham Hall but it was fraught with misadventure, including dropping a piano through the floor in the 1960s. It was always adventurous, that was the intention. In the summer of 1955 three members of the Box Boys Club went on an Adventure Camp Week at St Austell, Cornwall: Geoffrey Bray, David Gover and Rodney Brickell (Phillip Wilkins was chosen but unfortunately was unable to go). The participants had the opportunity to experience gliding, canoeing, rock climbing, expeditions and sailing and a 24 hour expedition on foot. There were honours to several members of the club. In 1955 Rodney Brickell was chosen to represent Wiltshire presenting a message to the Duke of Gloucester for the National Association's Club Week and attending a Variety Show in the Royal Festival Hall, called Clubs Are Trumps: it was a great honour for the Box Boys' Club and his selection is a credit to the Club. In 1961 Paul Dancey, one of the original (members), went to St James Palace. The club took on the latest teenage enthusiasms, encouraged by Ken (Taffy) Boulton. A Judo instruction class was held every week for which it is understood there was a keen interest. And there were Skiffle and Rock ’n Roll dances in the Bingham Hall every Friday from 8 to 10.30pm. A major claim to fame was the club’s instrumental rhythm group, The Four Specs, who auditioned at Bristol for the Frankie Vaughan Trophy in 1959 and won awards in contests in Bath and Bristol a year later. This local Corsham skiffle group were West of England Champions in about 1955 and this picture was taken at The Locarno, Bristol. 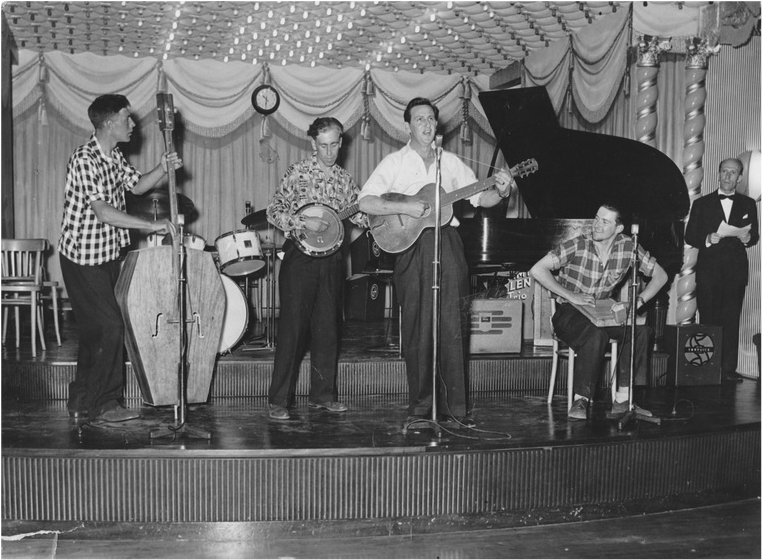 Left to Right: Ken Oatley with hand-made tea-chest bass; Doug Hudd on banjo; Bill Beavan on guitar; and John Abbotts on washboard rhythm instrument (photo courtesy Ken Oatley). The new pop music wasn't always fully supported by sections of Box residents, however. At the AGM in May 1960 there was mention of those members of the public who were always ready to run-down the boys. It was a difficult time to reconcile the views of some people who had served in one or both World Wars with the aspirations of the young people who were creating a new post-war social ethos. The club went from success to success under leader Ken Boulton, Mr & Mrs Lovell and the Rev RT Selwyn-Smith, treasurer. It was decided to fundraise for a building to hold meetings in and eventually it was agreed to convert an old factory building in Dyer’s Yard in the Market Place into a clubhouse. The fundraising events included a Rock Competition and raffle of a magnificent cake bearing the pictures of the new club buildings complete with club activities.. a work of art by an artist of over 3 score years and 10. Somehow the club received the backing of the Duke and Duchess of Newcastle. The initiative was well supported in the village particularly by Taffy Boulton, Bill Chaffey and Cecil Lambert. By September 1964 £1,900 had been paid to the builders and the premises was opened in October of that year. Vicar Tom Selwyn-Smith wrote Soon there will be running costs and the rates to pay. I will let you know when my new address is c/o The Bailiff, Debtors Jail. It was a wonderful success story for such a small village, recognised by the visit on 27 October 1967 of Frankie Vaughan, nationally famous singer and president of the National Association of Boys Clubs. It was a remarkable achievement for the villagers of Box, the committee of the Boys Club and most of all to the boys themselves. The total contribution from the village amounted to nearly £3,000 plus own labour such as redecoration by Mr Wyatt. The building still exists, being developed into the Jubilee Youth Centre in June 1977 as part of the fundraising celebrations for the Silver Jubilee of Queen Elizabeth II. The newly restored building was opened in October 1978 by the county’s Deputy Lieutenant, Rear Admiral HD (Desmond) Nixon, CB CVO, who lived in Ashley and had been the Chairman of Box’s Silver Jubilee Committee. There were other individual initiatives for boys including the Duke of Edinburgh's Award Schemes for which Richard Rycroft from Kingsdown was awarded a gold medal and Jonathan Hill also of Kingsdown a bronze medal. At table tennis yesterday, the memory came back of playing for Box Boys Club in the Bath league against Percy Boys Club. I had to intervene when one of their players went round the table after one of our chaps. He was a guy who had no style, couldn't spin the ball or do anything with it but, whatever you threw over the table at him he got it back. He was truly annoying to play against and their player wanted to bash his head in. I also seem to remember a cricket match that we had with the Boys Club at Luggershall, where Brian Boulton and I bowled out their team for about twenty five runs. Those were the days ! In Bath the society was formed in 1875 and was so popular by 1892 that it had to be divided into two divisions. In Box it appears to have been set up in the inter-war years and by the 1950s it was run by Mrs Lendon Bell, wife of the vicar, in the back room of the vicarage. It was very popular at that time and gave the girls a feeling of uniqueness, participants being called Candidates up to age 11, and Prentices from 11 to 16. The club's activities included lively activities, such as country dancing, English Sword Dancing, singing and piano recitations. Music was provided by a wind-up gramophone and 78 rpm records. There were handicrafts like needlework, toy-making, knitting, handwriting, sewing and painting. And the members tried their hands at nature activities such as pressed flower collections and arranging posies of flowers. There was no formal religious instruction although meetings included a prayer. In winter the club was held in Bingham Hall, and in summer in the vicarage gardens. Once a year it entered a competitive Eisteddfod in the Colston Hall, Bristol called The Competition. The Parish Magazine of June 1953 recorded the results of the annual Diocesan Competition where Box achieved Certificates for: Embroidery - Frances Cook, Doris Lansdown, Christine Helps and Pamela Fudge; Piano Solos - Frances Cook, Anna Grayson, Ann Hayward and Pamela Fudge; Recorder Solos - Anna Grayson and Ann Hayward. For Drama the team achieved an 84% level for the play The Bathroom Door; National Dancing 77%; English Country Dancing 80%; Games 78% displaying a great standard of vigour and joy according to the judges. After the Bells left the village, Anna Grayson was asked to take over the group in 1954. She managed it for a couple of years but had to leave to continue her education before re-joining later with assistance mainly from Mrs Hayward of Myrtle Grove on London Road. It was a time before health and safety and risk assessments. One summer, the girls went to the old swimming pool in Bath under Anna's supervision, even though Anna was only 16 years old and couldn't swim. Mrs Wilcox and Mrs Warburton, had too few helpers and eventually GFS ceased to run in Box. 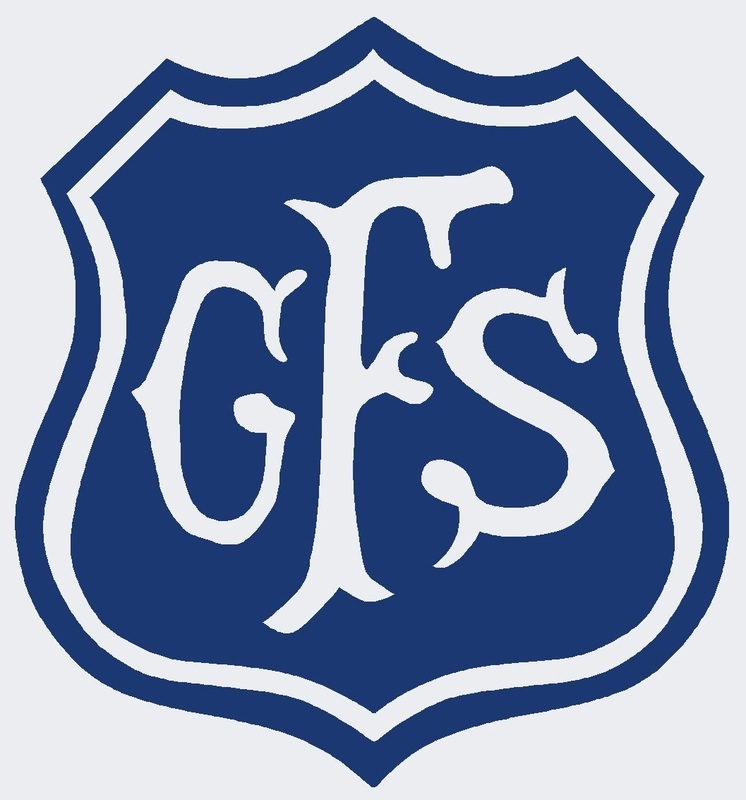 GFS was a much-loved club for girls run by the wife of Rev Lendon Bell, who was an excellent teacher of Country Dancing, Sword Dancing and Drama. I used the skills I learnt there right up to the time I retired from teaching in the year 2000. I remember a memorable summer school that some of the Box girls attended on the Isle of Wight with dancing, drama and compline in the evenings in the chapel.